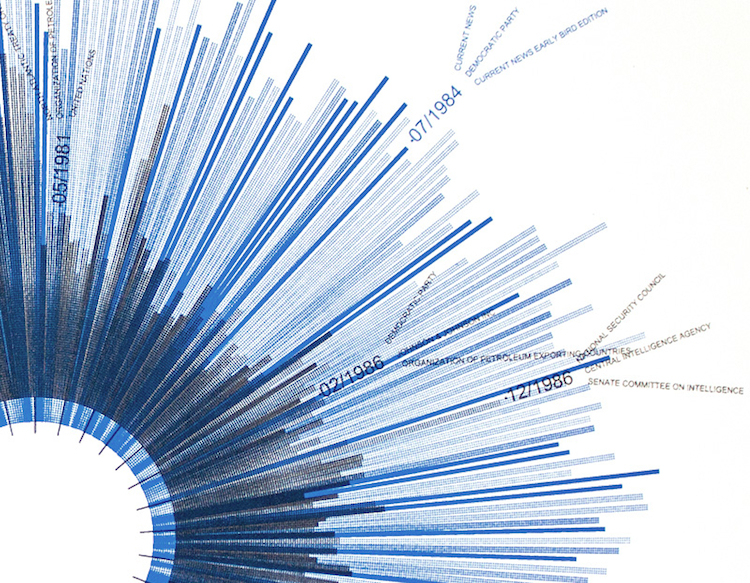 Here at Co.Design, we’re infographic freaks. We’re also avid New York Times readers. 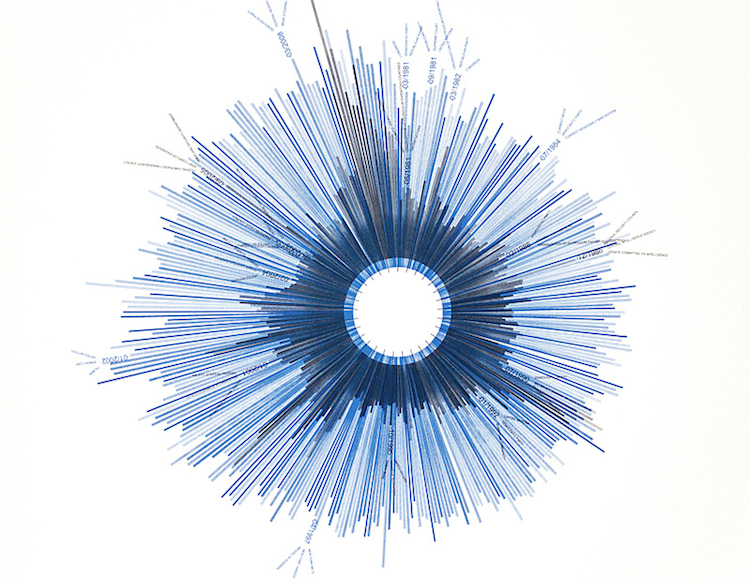 Which has us convinced that Jer Thorp — data artist-in-residence at The New York Times — created these gorgeous data visualizations exclusively for us. 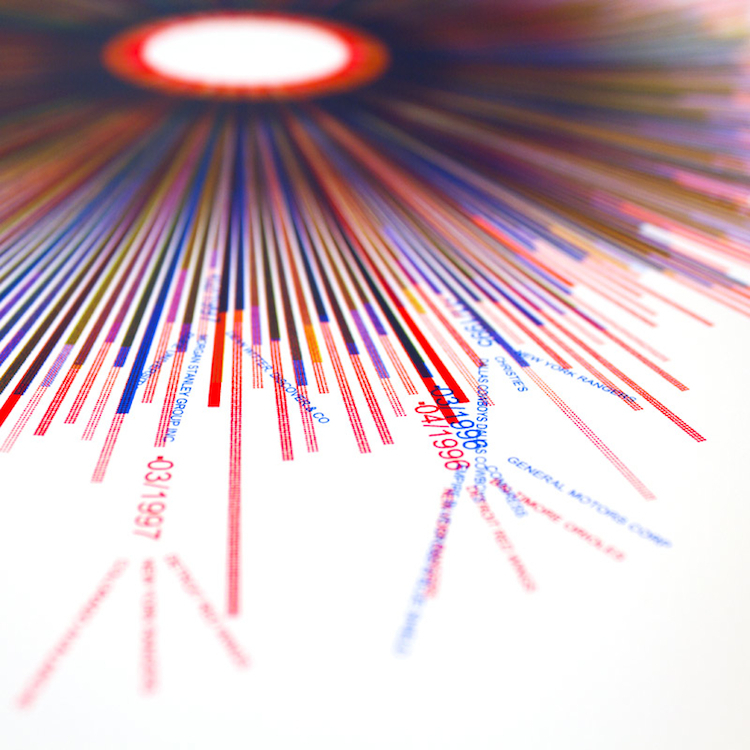 Available in a limited edition of 50, each of the prints visualizes word frequencies in the Times over a 20-year period. The one above shows how often the Times printed the words “red,” “green,” and “yellow” from 1981 to 2010; the one below shows how often it printed “hope” and “crisis” in the same time frame. Before we get to what they’re telling us, a word on how the data’s arranged. 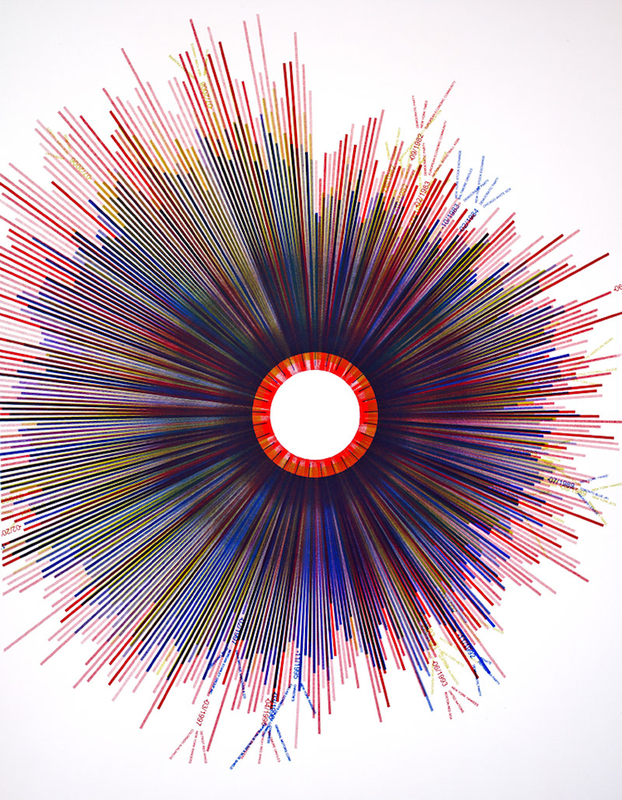 Thorp calls his prints “timepiece graphs” — that is, they’re organized like clocks. Each bar represents a month, with January 1981 at the 12 p.m. position, then the bars moving clockwise from there. Dates and mentions of specific events and key words (United Nations, Central Intelligence Agency, etc.) are thrown in here and there to orient the viewer. Buy the prints for $100 a pop here.